How Can Other Cities Do the Same? Millennial demographics, internet fueled lifestyles, last mile delivery and a sharing economy (rides, workplace) are altering land use and tax generation priorities for cities. Concurrently, the State is driving cities to change land use processes based on climate action and affordable housing mandates, while providing development incentives through new districts. Cities can pursue economic development and comply with state mandates using new “sustainability and housing districts” (EIFD, HSD, WHOZ, NIFTI, CRIA, AHAs) that blend zoning and CEQA incentives with tax increment financing to generate tax revenues, jobs, housing, and AB32 compliance. 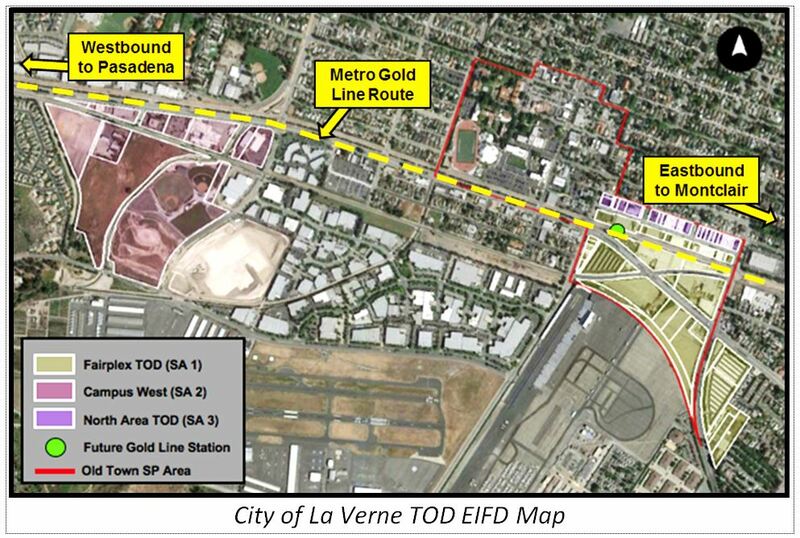 Presentation will include case study on the first EIFD approved in Los Angeles County for Gold Line TOD improvements in the City of La Verne. Learn how to enable economic development in your community while complying with state housing/ sustainability requirements to attract uses/tenants that will thrive, not disappear in a digital economy. Mr. Larry J. Kosmont, CRE®, is the President and CEO of Kosmont Companies, which he founded in 1986. Kosmont Companies is an industry leader in public/private real estate transactions and economic development. Mr. Kosmont’s 43-year career encompasses financial structuring and negotiations, development, and management of real estate and public finance transactions exceeding $12 billion. In 1990, he founded Kosmont Realty, a real estate brokerage firm. In 2015, he launched Kosmont Transactions Services which sources private financing for public projects, P3 initiatives, and infrastructure funding. He is a Principal of California Golden Fund, an approved EB-5 Regional Center. 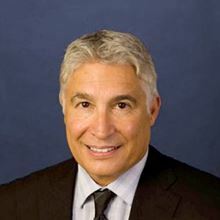 Mr. Kosmont served as Interim City Administrator for the City of Montebello, CA from May 2011 to March 2012 as part of a financial turnaround assignment awarded to Kosmont Companies. From 1975 to 1986, Mr. Kosmont served in the roles of City Manager, Director of Community Development, and Redevelopment Director in the cities of Santa Monica, Seal Beach, Bell Gardens, and Burbank. Mr. Kosmont is a registered Municipal Advisor with the U.S. Securities and Exchange Commission and achieved a Series 50 professional qualification. Mr. Kosmont is also a licensed real estate broker in the State of California (BRE No. 01182660). Current registrants will receive emails, and refunds via the PayPal system, both within the next couple of days. 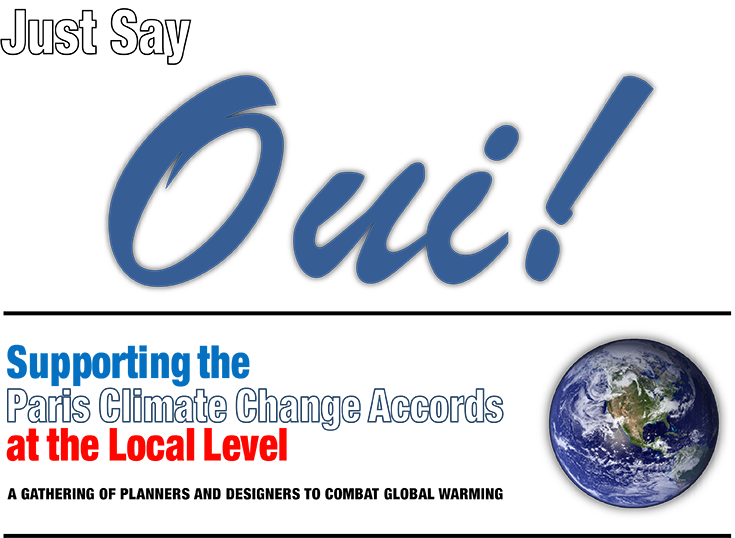 Thanks to all of our speakers, panelists, attendees for a great “Just Say ‘Oui'” event! Thanks to all of our speakers, panelists, attendees for a great event! All Saints Church is convenient to the Metro Gold Line Del Mar Station and Pasadena public parking facilities. Join us for a day-long summit aimed at bringing together planning and design professionals around local climate action. The purpose is to build a coalition and strengthen networks and resolve in supporting US legislation and worldwide cooperation. The day is meant to be fun, inspiring, and interactive. Participants will explore best practices at the local level, discover ways to connect, and continue their commitments to climate justice and sustainability. TED-Style Talk: Standards: Dogma or Pragmatic Evolution? 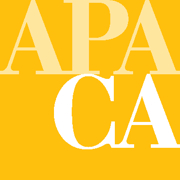 Deborah Deets, Landscape Architect, Los Angeles Department of Public Works.